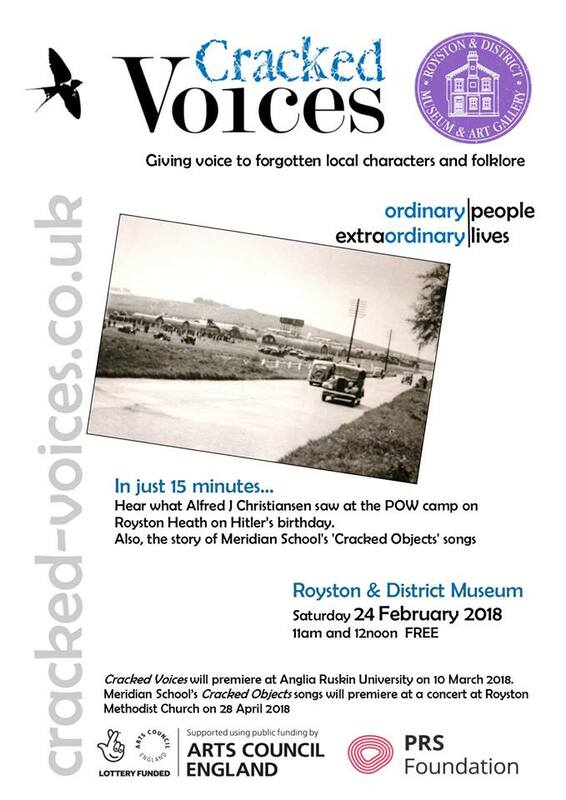 Cracked Voices pop-up talks at Royston & District Museum tomorrow! What did Alfred J Christiansen see at the POW camp on Royston Heath on Hitler’s birthday? What are Meridian School’s Cracked Objects all about? Come along to Graham Palmer’s free pop-up Cracked Voices talks at Royston & District Museum tomorrow at 11am and 12 noon. This entry was posted in News on February 23, 2018 by Jenni Pinnock.